The Government is consulting on implementing mandatory ethnicity pay reporting. The consultation, available here, sets out options and asks questions on what ethnicity pay information should be reported, who should be expected to report, and the next steps to be taken. The principle behind the consultation already looks very similar to that of the gender pay gap reporting obligations and the duty to report the ethnicity gap is likely to apply a similar threshold of 250 or more employees. The consultation closes on January 11, 2019. The Government suggests that a trial or phased approach could be used with early adopters to test the process before mandatory reporting is required. The consultation asks for views on what type of ethnicity pay information should be reported. It does not want undue burdens placed on business but does want sufficient information so that meaningful action may be taken. “One pay gap figure comparing average hourly earnings of ethnic minority employees as a percentage of white employees” This approach would mirror the gender pay gap reporting methodology. The employer would provide one headline figure. One drawback of this approach is that a headline pay gap figure alone may not give a fully representative picture as different ethnic groups would be rolled into one. 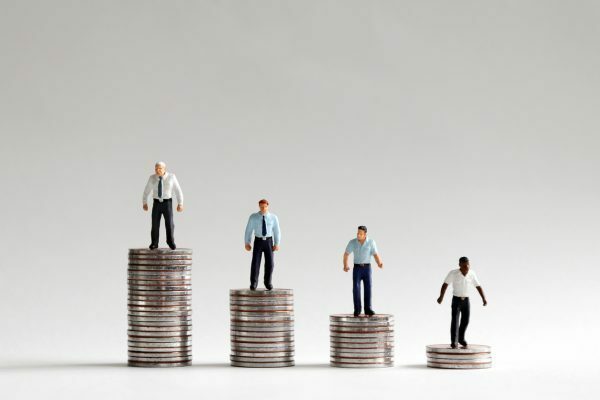 “Several pay gap figures by ethnicity group” This approach would compare average hourly earnings of different groups of ethnic minority employees as a percentage of white employees. However, this approach would not identify variations in pay distributions across different groups. “By pay band or quartile” This approach would show the proportion of employees from different ethnic groups by £20,000 pay bands or by pay quartiles. Employers would be able to see where ethnic minorities are concentrated in terms of pay and identify any apparent barriers to progression. One problem with this approach may be that breaking down data in this way may cause issues in terms of protecting employee anonymity. where disparities in ethnicity pay are identified, a requirement to publish a narrative or an action plan for addressing the disparities. there is no legal obligation for individuals to disclose the ethnic group with which they identify, and there is no legal obligation on employers to collect ethnicity data. analysing ethnicity data can be complex because individuals do not necessarily associate themselves with any of the categories. employers have their own classifications. Taking a standardised approach may result in additional costs to employers where changes to classification systems are required. any information relating to an individual’s racial or ethnic origin is classified as a special category of personal data under the GDPR. Employers that collect ethnicity data need to ensure the anonymity of their employees. how self-reporting or non-disclosure rates should be reflected in the information reported by employers.